I got to plant a little bit today. That looks much better. Very nice! Those are impatients, not vincas, right? 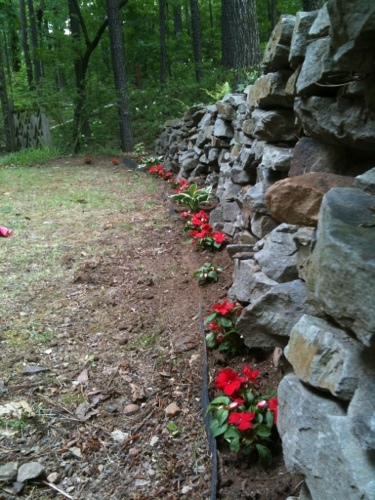 Vincas need sun. My guess is Papua New Guinea impatiens. Regular impatiens and hosta. I did buy some hanging baskets with new guinea impatiens and dragon wing begonias though. Well, it looked nice until deer ate most of them. Oh well.